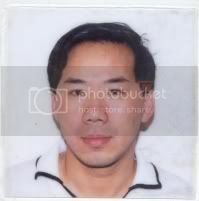 Qing was last seen at Dulwich Hill, Sydney 24 October 2000.He is known to frequent the inner suburbs of Sydney. The white Toyota Corona, registration number OQK-602, Qing was using at the time he went missing was located at the Star City Casino car park on 27 October 2000. Family and friends have not heard from Qing since and grave fears are held for his safety and welfare. NSW Homicide Squad detectives investigating the suspected murder of a Chinese man more than seven years ago are renewing their appeal for information from the community. Father-of-one Qing Yue Chen was last seen by his flatmate as he left their Dulwich Hill unit about 11am on Tuesday 24 October 2000. Mr Chen's white Toyota Corona was found by police three days later in the carpark of the Star City Casino in Sydney. Strike Force Shoult was established to investigate Mr Chen's disappearance, with inquiries continuing by detectives from the State Crime Command's Homicide Squad. Detectives are working to establish Mr Chen's movements after leaving his unit and have been focusing on a phone call he made to a friend from the Chinatown area about 1pm on the day of his last sighting. Inquiries by detectives from the Homicide Squad and City Central Local Area Command indicate the 40-year-old might have met with foul play soon after meeting a person or persons in Chinatown after attending the casino earlier in the day. Police are appealing to people who may have seen Mr Chen on this day or since, or who might have any other information that will assist with their inquiries. The taxi-driver was a hard-working member of Sydney's Chinese community. He was looking forward to establishing a home in Sydney for his wife and newborn son. He was due to be reunited with them in November 2000 when they were due to arrive from China. Mr Chen is described to police as being of Asian appearance, 168cm tall, with a thin build and short black hair. Any members of the community with information about Mr Chen's disappearance are urged to contact Strike Force Shoult detectives via Crime Stoppers on 1800 333 000. Information can be provided in confidence and anonymously.